Sage is a pungent herb most of us associate with stuffing and turkey but it’s a much more flexible seasoning then most folks think! Have you ever tried sage tea? Admittedly it has a flavour that may take some getting used to but it can help with congestion and stuffy noses that often crop up at this time of year. You can combine it with other herbs or lemon tea to make it tastier if necessary. Another great combination is sage and squash! Add sage to your squash recipes for a tasty, savory side-dish. A teaspoon or two of dried and crumbled or close to a tablespoon of fresh combined with olive oil and garlic then spread over the inside of your favourite squash is sure to please. For a real treat fry fresh sage leaves in butter (preferably organic sage leaves (and butter of course!) … some store bought types can be a bit bitter) until golden brown and use them for garnish on squash, rice, potatoes or other savory dishes. 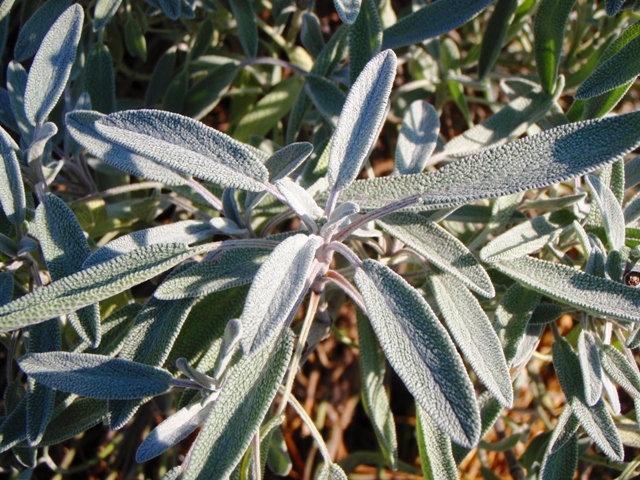 Just try not to eat all the sage before it makes it to your plate … oh so yummy! Previous Post Soup Season is Here!